Thought the NCBBL also failed, the six teams–Baltimore Lord Baltimores, Boston Resolutes, Louisville Falls Citys, New York Gorhams, Philadelphia Pythians, and Pittsburgh Keystones–played a decent season, and despite the existence of two defunct black baseball leagues, the ball players soldiered on. The Cuban Giants remained successful, and copycat teams sprang up immediately, the most prominent being the Cuban X-Giants, a splinter and a powerhouse team who played ten seasons around 1900. 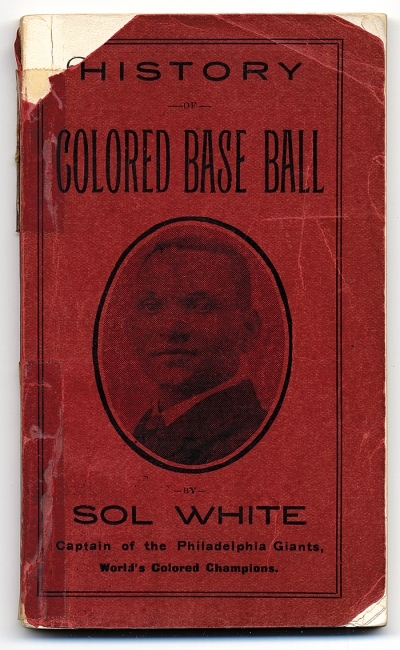 Many teams and leagues rose and fell by the turn-of-the-century, but black baseball reached preeminence under Rube Foster, the Cuban X-Giants star pitcher, who helped the team defeat the Philadelphia Giants, a black ball team formed in 1902 by Sol White, white sportswriter H. Walter Schlichter, and Harry Smith, sports editor of the Philadelphia Tribune, a black newspaper. These two teams battled for supremacy in “blackball” during the first decade of the 20th century, and Rube Foster began to pull together the makings of a black baseball league by black ball players, for black ball players. By 1920, the Golden Age of black baseball began, and up until the 1940s, African-American baseball teams played games and world series just as exciting, skilled, and lucrative as the segregated major leagues. This is an awesome post, and as usual, you leave me wanting to learn more!!! Thanks Victoria! I didn’t realize how ingrained baseball was in the American psyche until I began researching this topic. I only played the sport during my high school gym class, but the phrases and terminology came instantly.